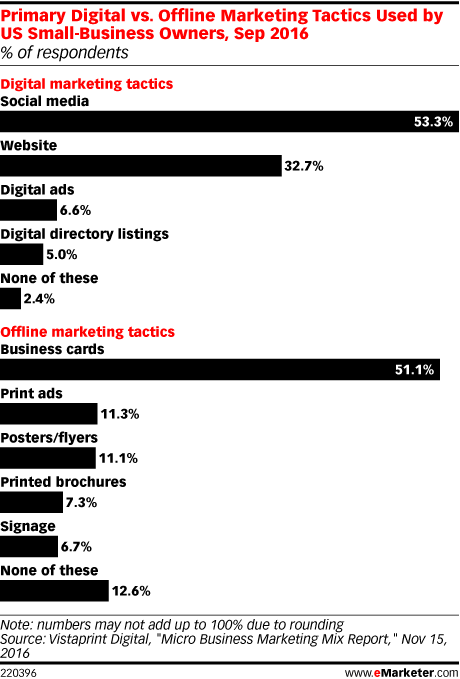 Data is from the November 2016 Vistaprint Digital "Micro Business Marketing Mix Report." 1,001 US small-business owners were surveyed during September 20-26, 2016. 62.5% of respondents had fewer than 10 employees, 33.3% had 10+ employees and 4.2% preferred not to say.